Panoramic tripod heads mount to your tripod, allowing you to capture seamless panoramic photographs. 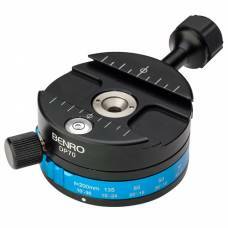 With a 360° rotational panning mechanism and smooth rotation knobs, you are free to take high-quality panoramic landscape images. You may even take multiple images and then stick them together with professional software. Avoid parallax problems by ensuring that your camera is level. 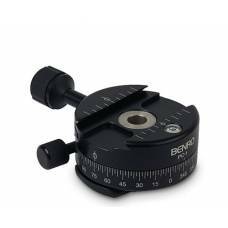 We suggest using a three-axis bubble level and leveling head such as the Nodal Ninja EX-Leveler that creates height with vertical orientation. 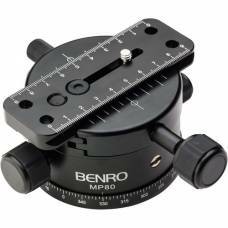 In addition to adding extra control and versatility ideal for panoramic shots, panoramic tripod heads also help you create time-lapse videos. PC series panoramic heads add extra control and versatility to almost any support system. 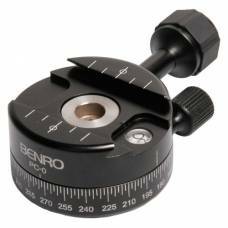 Stable ..
Benro Pc series panoramic heads add extra control and versatility to almost any support system. S..